We are committed to providing accommodations that offer the best fit possible. If you have a unique need, please let us know, using the 2019-20 Request for Special Housing Accommodation Form, available during the housing application period. Submit the 2019-20 Request for Special Housing Accommodation Form, available during the housing application period. Submit current documentation of a physical or mental impairment that substantially limits one or more major life activities (if applicable) with your requests. Provide sufficient documentation from a qualified professional addressing your unique needs in housing accommodations to the Office of Accessibility Resources & Services. NOTE: You are submitting documentation to OARS for your housing request only. Students requesting academic accommodations, should contact OARS to inquire about their registration process. The deadline for requesting modified housing accommodations is the same as the deadline for guaranteed housing. Special housing needs are accommodated on a case-by-case basis, according to room availability, and must be requested annually. Students requesting special housing accommodations will be notified of the decision in writing. (Best viewed from your computer or laptop!) This chart is sorted by the number of SHA services available in Fully-Loaded SHA Mobility Rooms. You can sort the table by each of its individual elements by clicking the element in the header row twice. You can also search for a particular residence hall by using the search bar (right). UNCG has a diverse international community that includes students and faculty from all across the globe. The International House (I-House) is located in Tower Village and is the perfect situation for students from other countries to be with others in the same situation, while meeting American students who also live there. Half of the residence hall students are from the United States. The other half is filled with students from abroad. On Fridays throughout the semester, the iHouse hosts Friday Fest. Friday Fest is a program where international students explain the customs, traditions and practices of their home country. Friday Fest gives other students an opportunity to eat authentic food from the host nation and often to learn traditional dances. 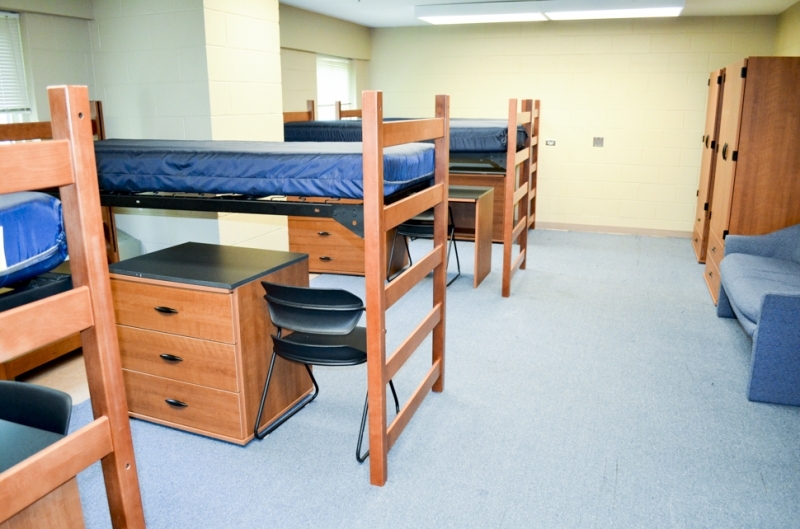 Temporary rooms are converted community rooms in Phillips/Hawkins,, Moore/Strong, and Reynolds. Typically, four students are assigned together until a permanent room becomes available. The amount of time a student spends in a temporary room varies. Following are photos of some typical common room layouts. 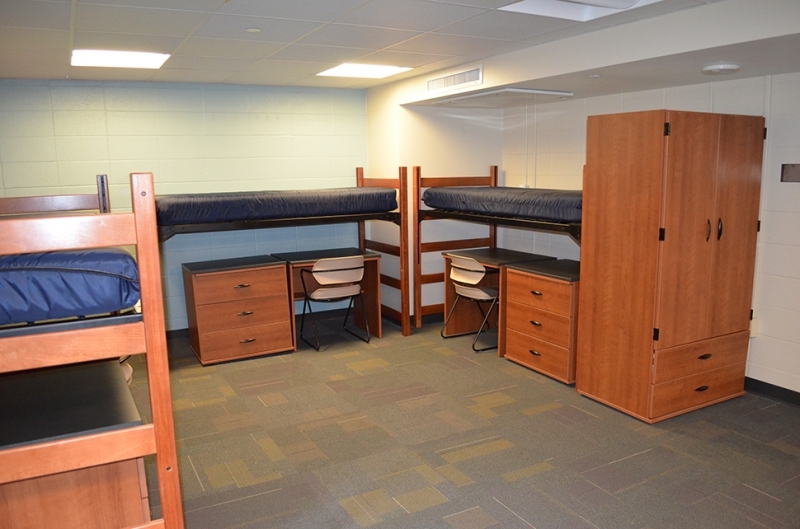 There are a total of five traditional triple rooms on campus at UNCG (four in Weil/Winfield and one in North Spencer). 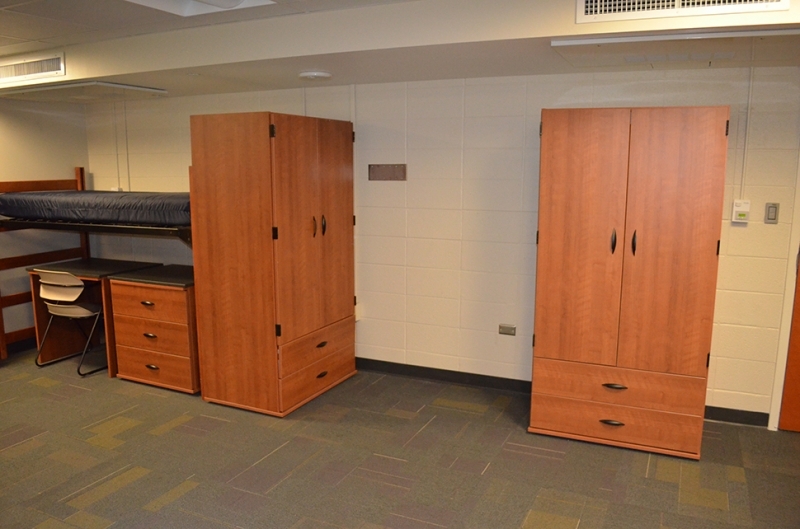 Each room houses three students and is furnished with one sink, two closets, one wardrobe, three desks/chairs, three dressers, and three beds. These rooms are PERMANENT spaces. The rate is a little lower than the traditional double rate. Following are photos of some typical common room layouts. 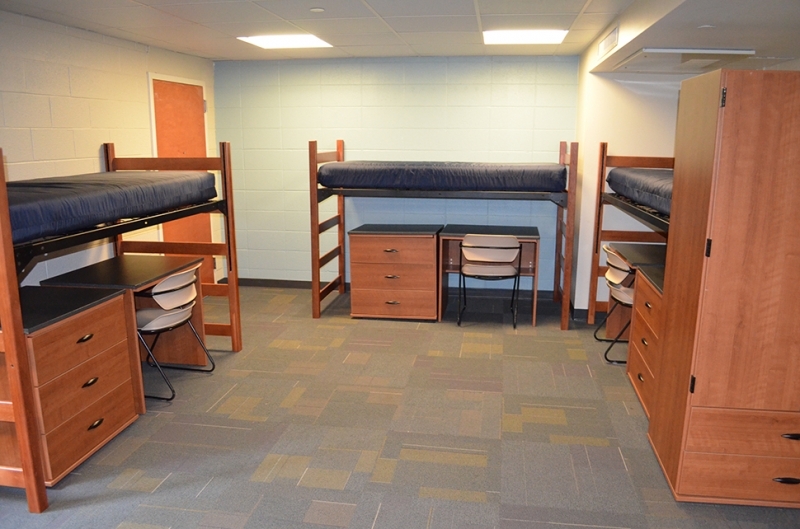 Triple rooms include Weil 213, 315, Winfield 213, 315, and North Spencer 241. INTERLINK Language Centers offer intensive English instruction, academic preparation, and cross-cultural orientation for students, scholars, and professionals on a year-round basis. The program prepares students for challenging careers, and provides the tools and skills needed to achieve success in the 21st century. Upon graduation, many students go on to study in academic programs at UNCG or other area universities. A member of the Interlink office contacts the housing office at the start of each Interlink session with the number of students requiring housing. 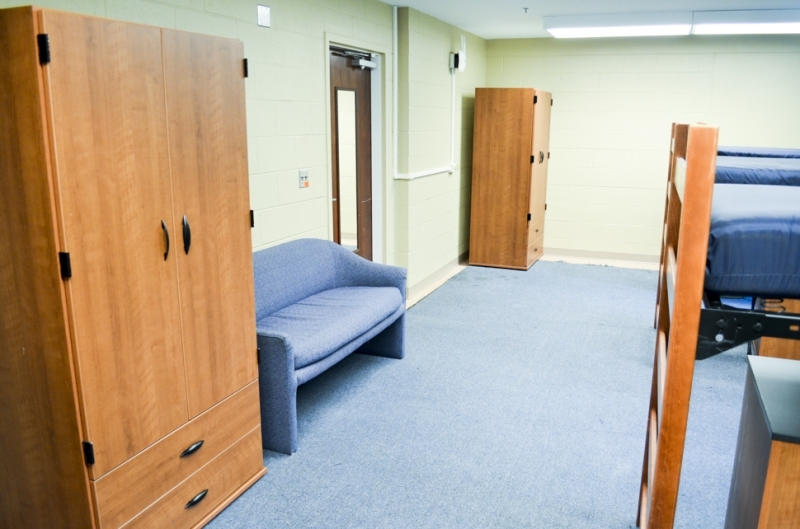 These students are assigned to a temporary/community room in Phillips/Hawkins for one week. This gives the students a chance to decide if they would like to continue to live on campus or to move off campus. If the Interlink student decides to stay on campus, they are moved to a permanent assignment. HRL is committed to working to meet the housing needs of all residential students by providing a nurturing community that values diversity and promotes the dignity of all community members. If you have special housing needs based on gender identity or gender expression, please contact Guy Sanders (gmsander@uncg.edu or 336-334-5636) when applying for campus housing to discuss your specific needs. 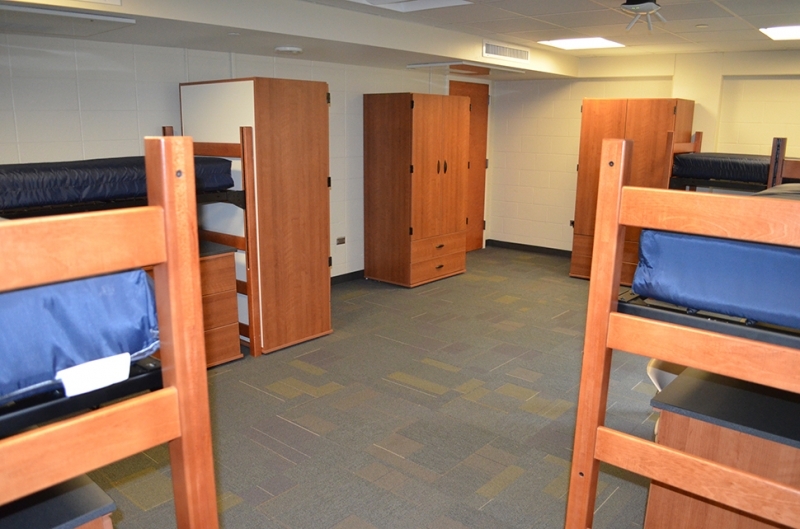 In the Spring semester, students who have a vacancy in a traditional double room (not including Jefferson or Quad Suites) may be allowed to “buy out” the vacant space and turn the room into a private single room, f available and approved. WARNING: Due to renovations in Ragsdale/Mendenhall for Spring 2010 we do not expect to be able to offer any students a buy-out. 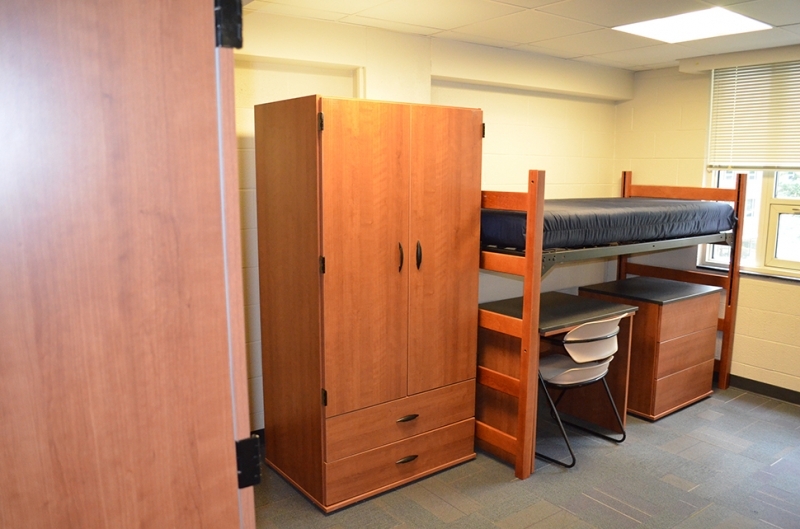 Ragsdale-Mendenhall, South Spencer and North Spencer have a limited number of double rooms with a private bathroom.